Christmas Eve 8:00am South Louisiana Palmetto Swamp Doe. 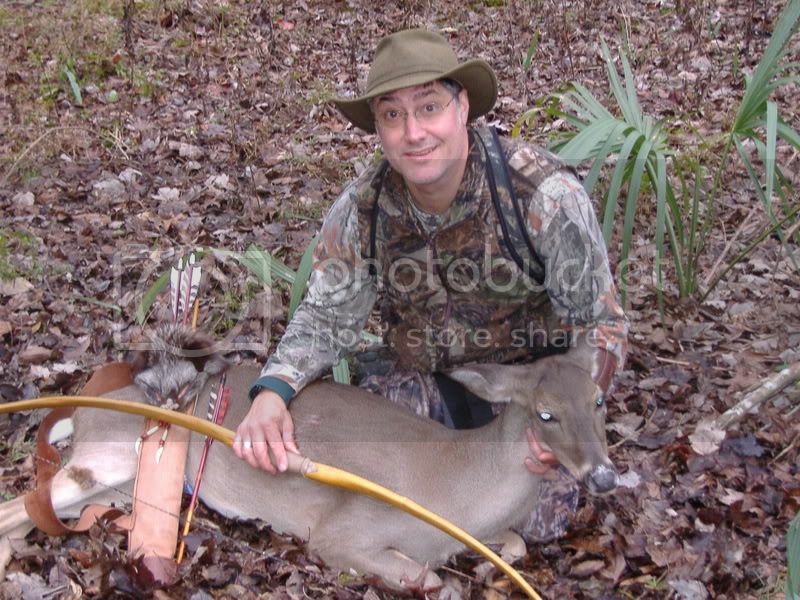 Taken with 55# Osage selfbow, and homemade cedar arrow with self-nock and stonepoint knapped by Tex Holloway. See story in Pow Wow under "Stonepoint doe for Christmas"
Here's a pic of the point. 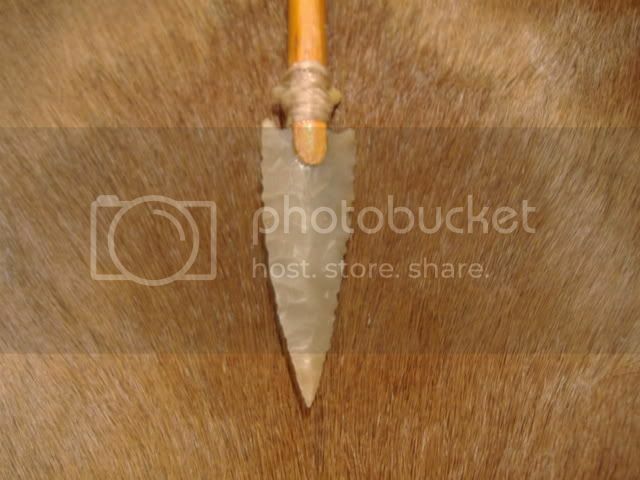 I made the bow, arrows, and quiver, but my friend Tex Holloway knapped the point for me.